Hello! I thought it was time for a little Christmas giveaway! I cant believe there are only 19 days to go - eek! I really must get more organised! 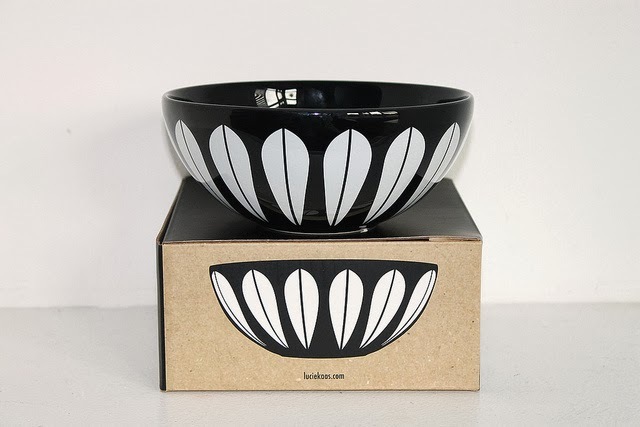 The prize is this black Lucie Kaas ceramic lotus print bowl by Arne Clausen and also a pack of cloud, triangle and circle chalkboard stickers from my Etsy shop - with 6 of each design per pack. To enter just follow scraps of us (either by bloglovin or google friend connect) and leave a comment below. You can gain extra entries by sharing on twitter, facebook or your blog - please just leave an extra comment for each to let me know! aaaand i just RT'd your tweet. i'll mention this on Fridays blog post too if i remember! How Lovely of you! That bowl would look so good filled with clementines. 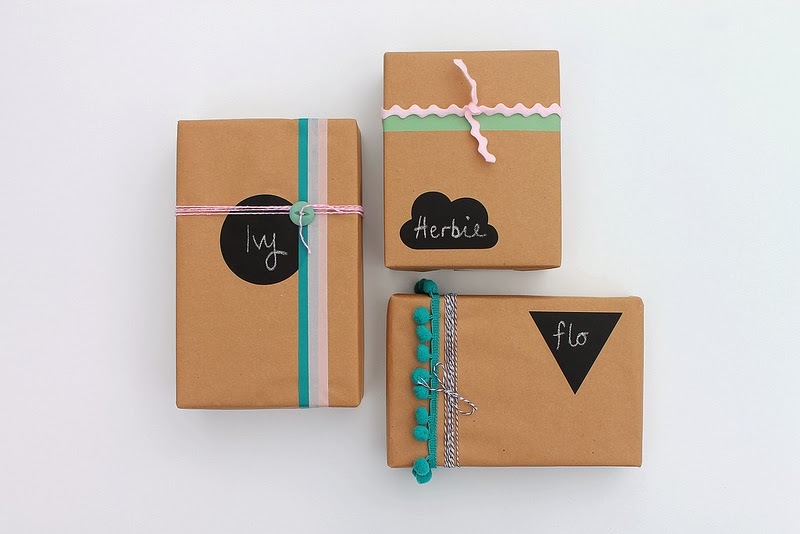 And your chalkboard stickers look great on the parcels...SIGH...I wish I was at the wrapping stage already!! Hey!!! I want it!!! thank you very, very much!!! I´m glad that this is worldwide giveaway!!! Yeah!! And I share in Facebook!! What a lovely giveaway. I already follow you on Bloglovin' but will look for you on FB too!! I follow you on Bloglovin. What a lovely bowl. Thanks for the wonderful giveaway. I'm a follower too and I would be thrilled to win this giveaway! Thanks for a fun giveaway. My teenage daughter would love bowl in her bedroom and I could have such fun with the tags. I follow with GFC. What a lovely giveaway - I hope I win! Gorgeous bowl and I LOVE your blackboard stickers (they would be just right in my pantry!). I'm a follower on Google Friend Connect. Fingers crossed! This is so pretty, such a lovely giveaway. Just followed you on bloglovin. You're so talented!